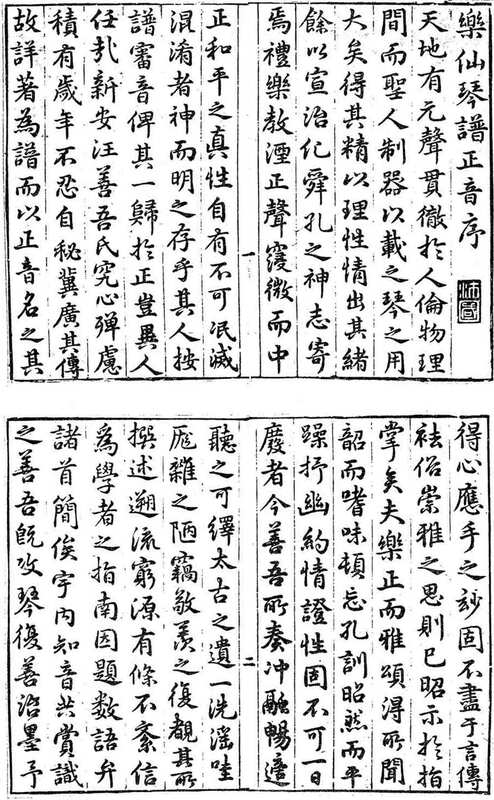 Taoshi Qinpu has nine melodies in one folio.3 All have lyrics; only one title appears here for the first time, but some melodies seem to have new settings. 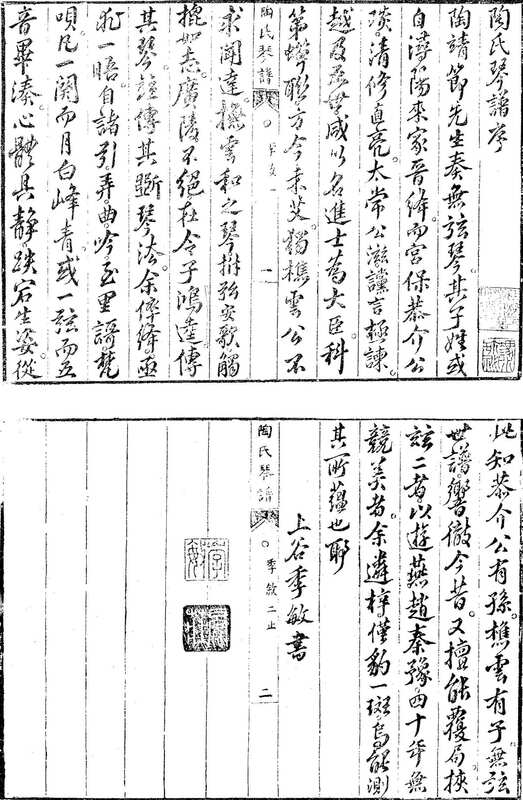 The handbook, published and selected by Ji Min of Yanjing,4 has music attributed to Tao Hongkui,7 a grandson of Tao Yan (1457-1541).6 Zha Fuxi's introduction in Qinqu Jicheng says that, since the prefaces and afterword are undated, the dating to late Ming is based on the printing style. It seems to have been a commercial product. The QQJC edition is copied from one in the Music Research Institute, Beijing. This image is copied from QQJC IX/457 (larger size). There are no biographies of him in the standard qin reference materials. Seems to have a melodic relationship with Jishan Qiu Yue but is much shorter; lyrics begin "隱箕山遠避虛名...."
From 1559; lyrics begin "靠舟崖整...."
Lyrics begin "悶倚欄杆，憶别離...."; only here? Unrelated to 1799.